All landlords must provide installed and working smoke and carbon monoxide alarms in their properties (in England only). A carbon monoxide alarm in any room containing a solid fuel burning appliance (e.g. a wood burning stove, a coal fire, an open fire place or where biomass is used as fuel). You must check that the Smoke and Carbon Monoxide Alarms, are in working order on the FIRST Day of the tenancy. You will need to make your tenants aware that it is their responsibility to check the alarms are in working order on a regular basis. The Department for Community and Local Government recommend that this is on a monthly basis although this is not enforceable. And, if they are not working properly, they will need to understand how to report the fault to you. 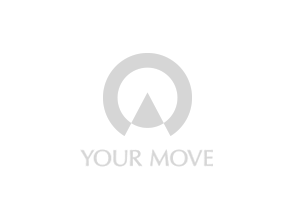 So how can Your Move help? Providing a Smoke and Carbon Monoxide Checking Service to ensure your rental property comply with the new legislation. Arranging for an Installation Service where we will contact any existing tenant, on your behalf, to explain the legal requirements, but also arrange for Smoke and/or Carbon Monoxide Alarms to be installed, where necessary, by our third party supplier(*). Arranging that on Day One – as shown on your tenancy agreement - if any new let that either you – or someone acting on your behalf – confirms that the alarms have a Working Order Check and provide written evidence that they are operating correctly. Instruct tenants that after Day One of their new tenancy, or following completion of the Smoke and Carbon Monoxide Checking Service and Installation Service, they will take responsibility for their own safety and test all alarms each month to make sure they are in working order. If they are not working properly we’ll also be able to advise them to report the fault as they would normally do under their existing tenancy agreement. Arranging for an Installation Service for Smoke and/or Carbon Monoxide Alarms to be installed, where necessary, by our third party supplier. Giving you the option to choose a battery operated alarm or a longer lasting sealed units based on information we can provide to you. Arranging that on Day One – as shown on your tenancy agreement - of any new let that either you – or someone acting on your behalf – confirm that the alarms have a Working Order Check and provide written evidence that they are operating correctly. Arranging that on Day One – as shown on your tenancy agreement - of any new let that either you – or someone acting on your behalf – confirms that the alarms have a Working Order Check and provide written evidence that they are operating correctly. You’ll also need to make arrangement if the alarms are not working. (*) For information there are a range of Lithium Sealed Alarms available which come with a 10 year guarantee or alternatively you may choose to have a hard wired alarm instead. The advantage of both being that there will be no reliance of having to regularly change the batteries on a battery fitted alarm – which cannot only prove costly, over time, but the alarms could also prove difficult to access – which in itself could be a potential health and safety risk. In some areas you may also find that you could get a free alarm from your local fire and rescue authorities – although there will still be a requirement for these to be fitted according to manufacturers guidelines. Ultimately, however, with high demand for smoke alarms it’s best to act sooner rather than later to ensure that you are not affected by the potential lack of alarms available. Who will check that your properties comply? Local authorities will be responsible for checking properties to ensure they comply with the regulation and, if they have reasonable grounds to believe there is a breach of the regulation, a remedial notice will be issued and details provided about what action is required by the landlord – within the following 28 days. And what if you don’t act on this regulation? Failure to install smoke and carbon monoxide alarms could lead to you facing sanctions and a penalty of up to £5,000 – as well as, of course, risking the health and safety of your tenants. For further information about the Smoke and Carbon Monoxide Alarm (England) Regulations 2015, you may also like to access the official Department of Communities and Local Government Q&A Booklet here.